In modern world not only women even men want to get rid of unwanted hairs over body. There are many expensive creams and gels marketed over internet and other media which claim safe and harmless hair removal. Along with commercially designed products there are many natural ways too which remove unwanted growth of hairs over body and provide soft and silky skin. 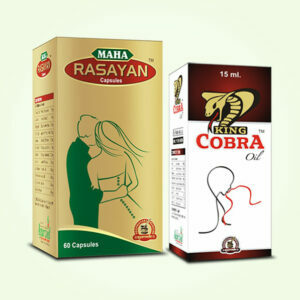 One should prefer natural methods in place of commercial products. There few reasons why one should give higher preference to use natural methods in place of cosmetic creams and gels. The products made commercially contain certain ingredients which are designed artificially, these also contain chemicals in combination which are untested and their long term consequences are unknown. All these artificial ingredients and combination of chemicals can be extremely hazardous for health. Skin is outermost layer of body and first line of defence against ever-attacking germs and bacteria etc. These creams and gels due to their side effects can damage skin and expose body to infections and allergies. The chemicals and salts in commercial hair removal products cause dry and rough patches, reduce endurance of skin, deteriorate its resistance power and allow infectious agents to sneak in which raises serious threat to health. 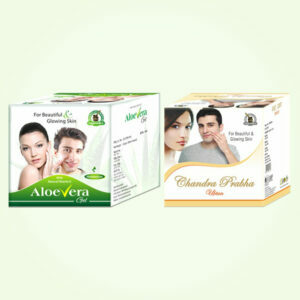 Men and women with sensitive skin face rashes and formation of bruises after removing hairs with commercially designed products. This too happens due to harsh chemicals and other ingredients used in creams and gels. These bruises and cuts not only allow infections and allergies to occur but also deplete tone, texture and tightness of skin. People complain about skin darkening, dark patches, scars and discoloration after using commercial hair removing products. In old times women used natural agents to remove unwanted hairs. These methods are safe and highly effective and do not cause any side effects even after regular use. Other advantages of natural hair removing methods are their ability to improve skin’s tone and texture. These are completely unlike commercial products which harm skin’s health, in fact these further improve softness and silkiness of skin and make it smoother and attractive, even people with sensitive skin can use these without any worries. There are no chances of skin darkening or other side effects and on regular use these methods even reduce rate of hair growth to keep skin smooth for longer duration. Commercial products do not affect hair growth but make hairs thick which increases need for frequent hair removing exercise. Another advantage of using natural methods is that these are almost inexpensive compared to branded products, creams and gels. Not only natural methods are reliable, efficient and safe but also light on your pocket and provide better results. Homemade hair removal masks with chickpea flour and red lentils are oldest ways to get smooth skin. 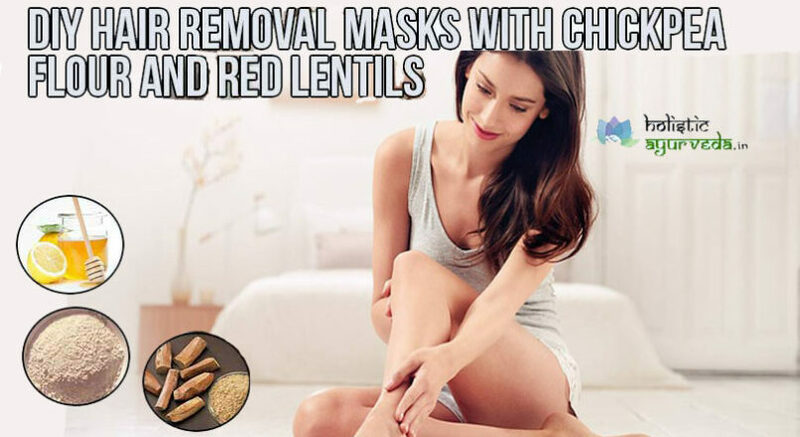 Here we will provide recipes for hair removal masks with chickpea flour and red lentils both so that you can use homemade hair removal mask of your choice. First to get homemade hair removal mask using chickpea flour collect Chickpea flour, sandalwood powder, milk cream, mustard oil, rose water and turmeric powder. Now add two tablespoons of chickpea flour in a bowl. Mix two tablespoons of sandalwood powder and one tablespoon each of milk cream, rose water and mustard oil. Mix all the ingredients and add a teaspoon of turmeric powder, now mix all the ingredients again till you get a smooth paste. Apply a thick coat of this paste over the region from where you want to remove hairs. Let the paste sit till it dries out and forms a crust. Now rub the paste to remove and move your hands in opposite direction of hair growth. Give it a scrub so that paste plucks out hairs from roots. Rinse off with plain water later. Repeat this to get smooth hairless skin and over a period of time slow growth of hairs. To get homemade hair removal mask with red lentils follow this simple recipe. Collect red lentils, sandalwood powder, fuller’s earth and raw honey. Grind half cup of red lentils in a grinder to get a fine powder. You may need to sieve and grind again to get a fine powder, if it is troublesome soak red lentils in water for couple of hours and grind later. Collect two tablespoons of fine red lentil powder and put it in a bowl. Add one tablespoon each of fuller’s earth and sandalwood powder and add two tablespoons of raw honey. Mix all the ingredients well to get a smooth paste. Apply this paste over areas where you have hair growth and let the mixture sit till it dries out. The process of using and removing hair removal masks with chickpea flour and red lentils is same. You can repeat this alternatively or try just one of these to get smooth skin without any ill-effects.